Full House by Rain and Song Hye Kyo was the first Korean telenovela that I have watched and loved. 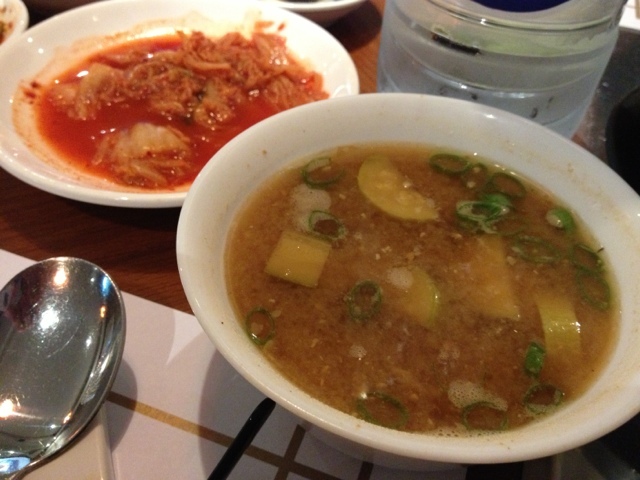 Since that telenovela, I have been fascinated and deeply in love with everything Korean, especially their food. 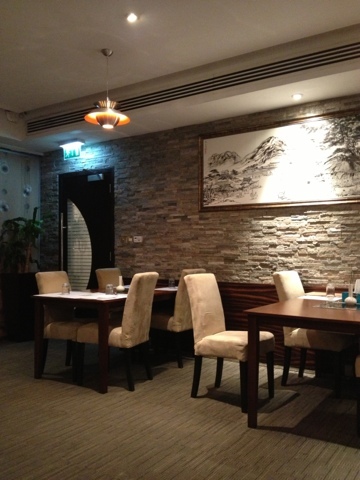 The only authentic Korean restaurant that we have been to here in Abu Dhabi was Hankook Restaurant in Muroor, Abu Dhabi. 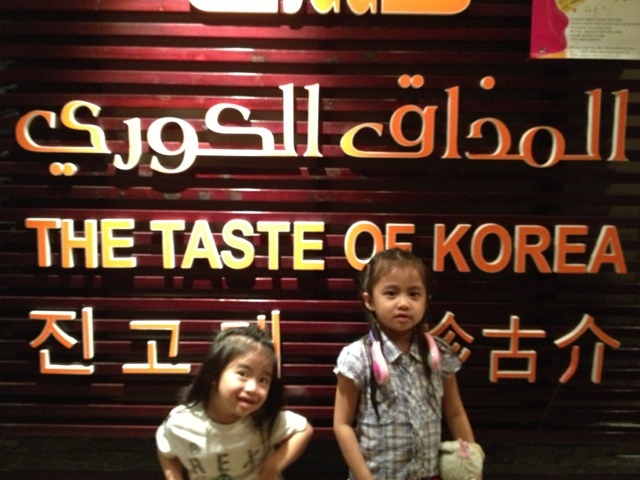 Coincidentally, while we were looking for a pet shop in Khalifa Street, we passed by Eclipse Hotel and saw the signage of The Taste of Korea. 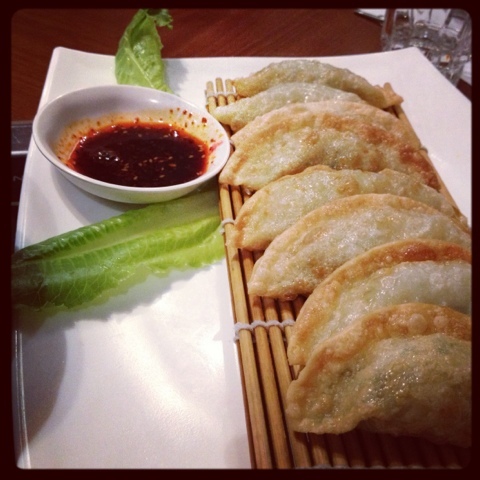 Of course, we got interested knowing that we have another place to go to once our Korean taste buds attack. 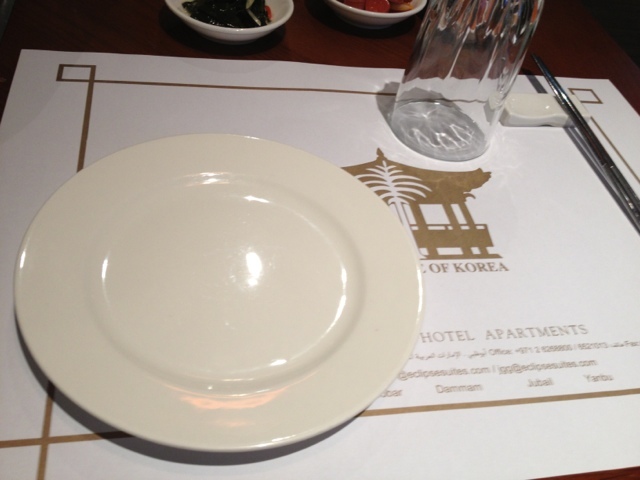 The Taste of Korea is one restaurant in Eclipse Hotel. It is actually at the Penthouse of the hotel. Eclipse Hotel is not a 5-star hotel, so of course one should lower their expectations when inside the hotel. However, when you reach the restaurant itself, you will see and feel the very cozy ambience that you can usually find in high-end hotels. I so love their dining table and chairs, which are very comfortable. Also, when you leave this restaurant, you will not smell like kimchi (the smell of whatever's cooking at Hankook's kitchen is all around the place) or smoke (there's no separate smoking section at Hankook). They also have a large LCD TV that features Korean shows to keep the guests entertained while waiting for the food to be served. The table setting is typical Korean. The chopsticks are there as well as the long handled spoon, which is not seen in this picture as my son was playing with it. 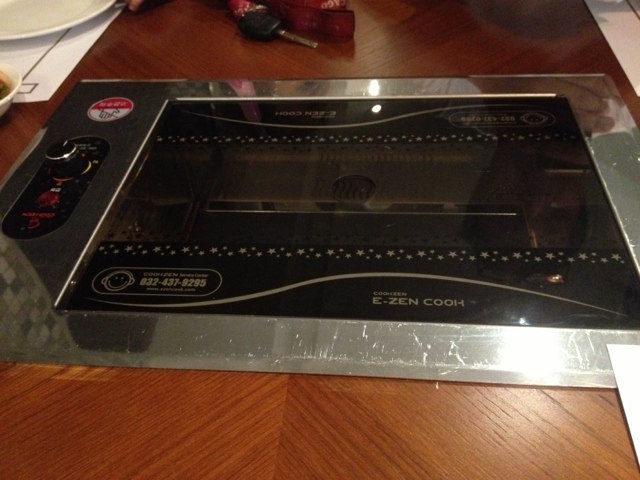 I love their tabletop grill. It is safer compared to the one in Hankook, which needs gas to operate. It is typical Korean to serve their guests with small portions of different types of side dish. They served us eight side dishes to be exact. Some are spicy and some are not, which is good because the kids loved their hotdogs! We also had to literally ask the waitress to stop refilling our side dishes. They were sooo generous in giving the side dishes in that once they see that one plate is empty, they will immediately pour over some more! Isn't that great? We ordered this fried dumplings, which the waitress told us contain only very little meat. I think she was wrong because the dumplings were meaty and full of flavor, which the kids loved! This sort of (sorry I dunno what it's called) miso soup comes in when you order the bulgogi meal and that includes steamed rice, too. For me, this was the only negative part on my experience with this resto. The soup was bland, but hey it was free so wag na tayong choosy! 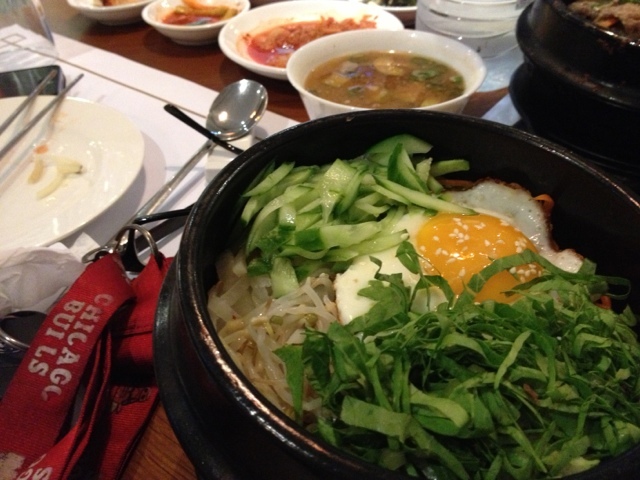 Bibimbap is a rice dish with veggies, meat, egg and spices. In Hankook, their Bibimbap does not have meat. Just a tip when you order this dish, make sure that you will mix the ingredients right away when served or else the rice will form crusts (tutong) at the bottom. 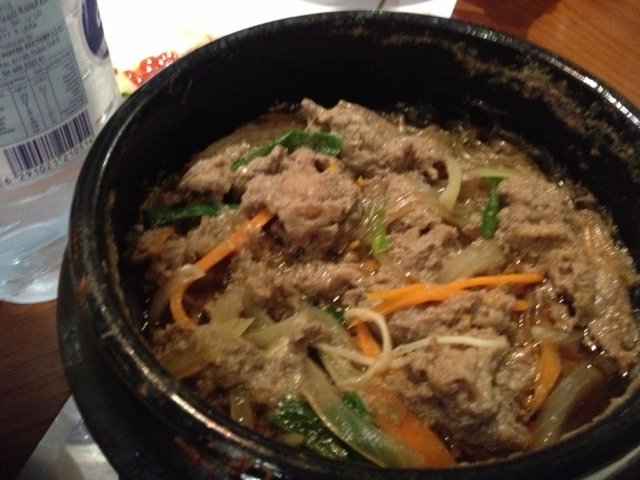 My daughter's favorite Korean dish is the Bulgogi. As part of a meal, I can say that the serving is generous. They said that it's enough for two, but I think even three or four people can enjoy a single serving. The flavor was of course a 5/5! 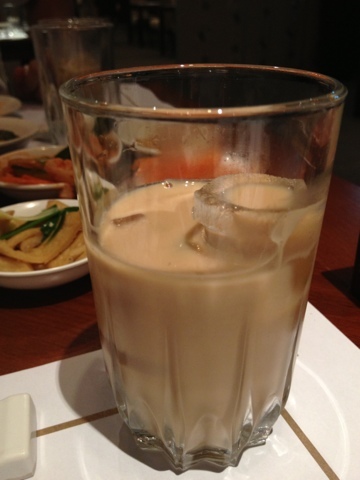 They also served us complimentary iced coffee, which surprisingly was very tasty! The Taste of Korea truly deserves its name. Just look at the kids' faces and one can say that we really enjoyed our experience here. We will definitely come back for more!